Apex operates in the civil and mechanical engineering sectors as a leading supplier of fire resistant glazing systems to the construction and glazing industry. This includes supply to many Government and military installations within the UK mainland. Glass and steel are fast becoming the major features of many architectural buildings – especially those with public areas, and many of these will require fire resistant glazing in some form or another. Our expertise is in the design, manufacture and installation of glazed fire screens, doors, windows and curtain walling. There are many types of steel and stainless steel systems available in the range, giving a wide choice of options. From powder coated mild steel to mirror polished stainless steel and yellow metals. 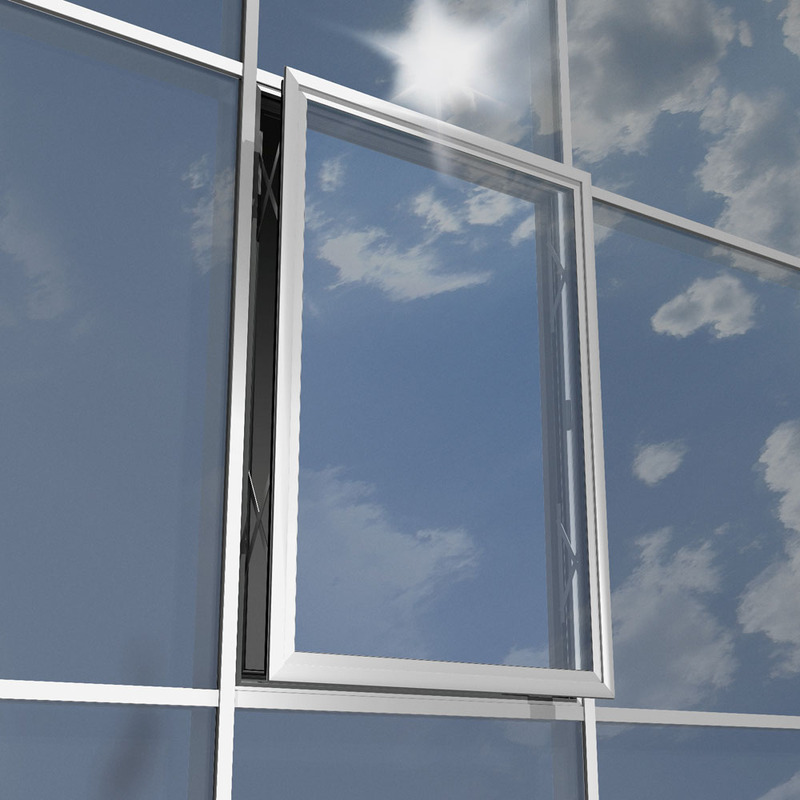 In addition, doors and windows can be designed in many formats depending on their required usage. A variety of locking and access control options are available to suit most applications. We also offer Specialist Glass and Films which can be incorporated into your designs, as well as the unique MISO Glass System. 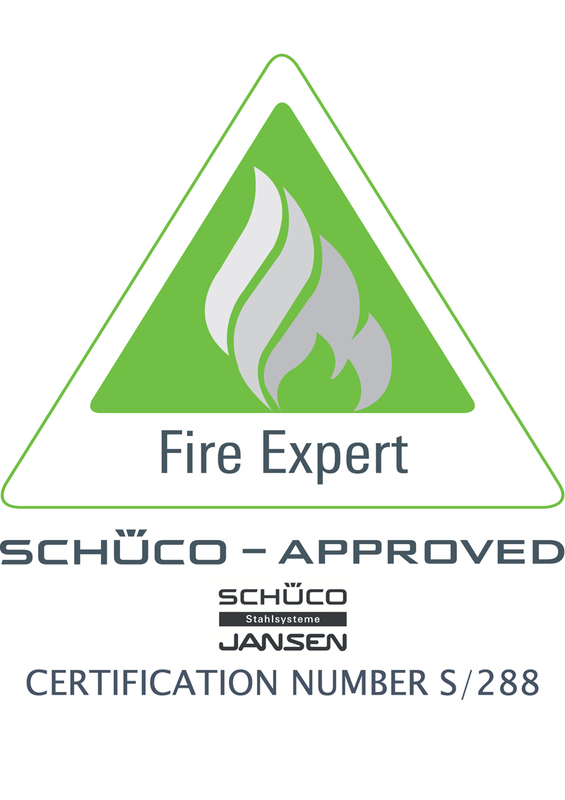 Schüco Jansen steel profile systems offer the safety features of fire and security protection, combined with a sophisticated, elegant and contemporary look. 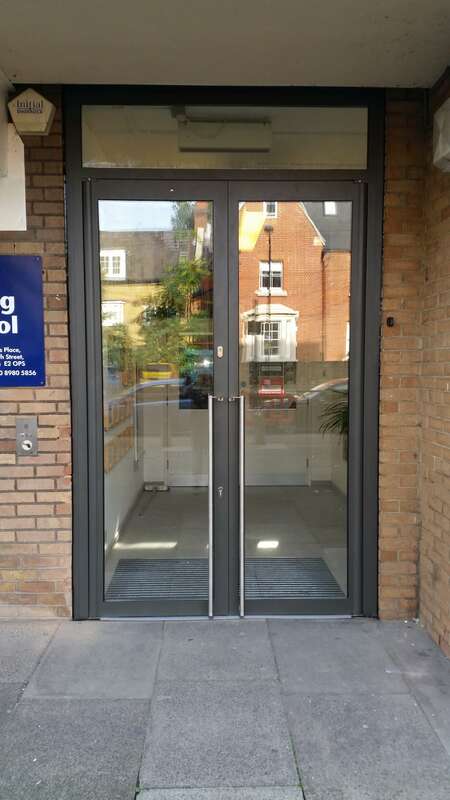 These systems can be used for flush-fitted single and double-leaf doors, fire-resistant glazing and security, and doors in glass walls to create elegant designs with a high level of security. Schüco Jansen steel systems allow us to create practically any design in glass and steel - from doors, screens and windows to complete building façades. Finishes can be architecturally powder coated or stainless steel. Optional fittings allow it to be used as a multi-purpose door and integrated into the building security and building management system. 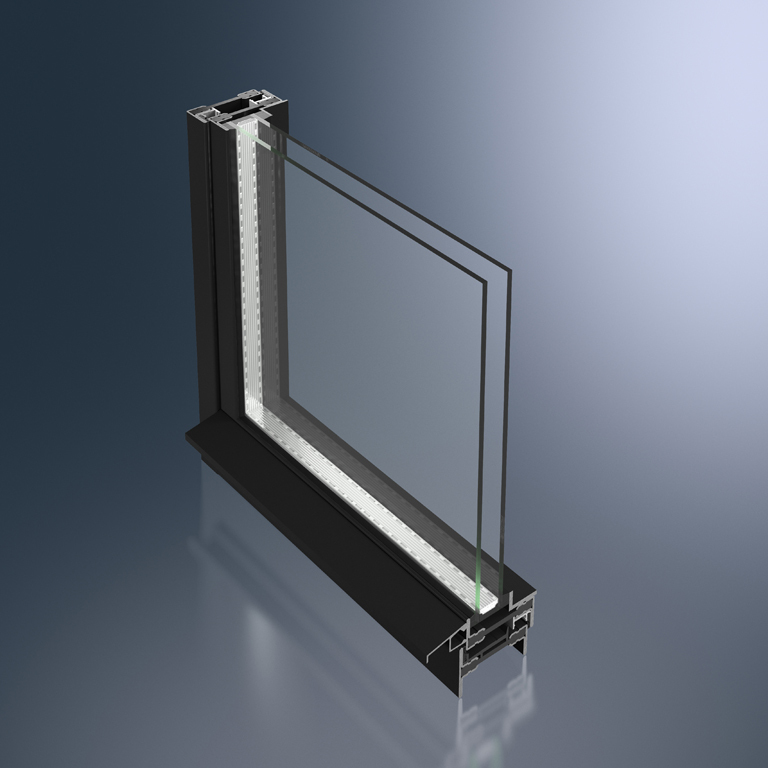 The clear, timeless design is ideal for combining with the proven Schüco façade and window systems. The high insulation systems are ideally suited to improving the energy balance of a building – with maximum planning freedom. 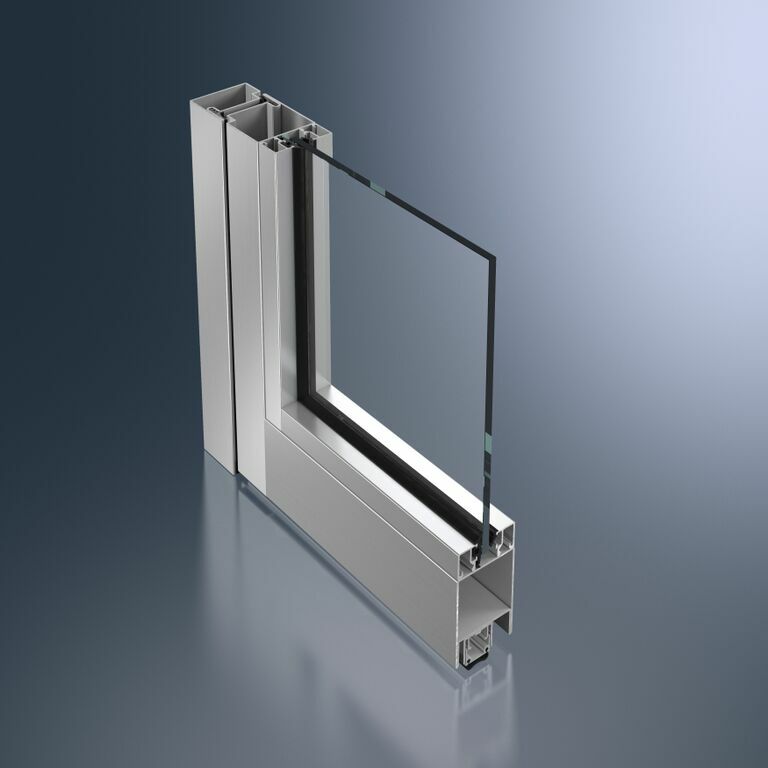 Systems in glass, steel & stainless steel offering fire resistance for use in public, commercial, & industrial buildings. In addition to working to client-supplied drawings, we also have a comprehensive design department which enables us to work alongside our clients, turning their concepts into reality. This is especially useful for Design and Build contracts. We can produce full CAD drawings and design documentation for each contract.